As the credits rolled, I pulled up Steam to check up on Lichtspeer, the game that had all but consumed the lives of its two ardent developers. It’s almost as if I refused to believe the game had underperformed. In an industry polluted by shady business practices and littered with low-effort cash grabs, every indie success story is like a middle finger to the greedy publishers that govern the market. Gamers worship the indie scene’s hard work, dedication, and creativity—what we believe to be the foundation on which truly great games are made. Polish indie team Lichthund spent two grueling years working on Lichtspeer, had every box on the checklist marked off, but was met with weak applause at the finish line. Borys Niespielak’s unfiltered, uncensored documentary, We Are Alright, follows the indie developer we don’t see, the one who’s seen far more failure than success but continues to fight for a foothold in the industry they love. Bartek Pieczonka, one half of Lichthund, is a developer who spends the bulk of his day working on an indie game that may go on to sell zero copies. Passionate, but pessimistic, Pieczonka can’t help but to expect failure. Financial turmoil, less time with his girlfriend and his dog—plenty to lose with little to gain, but he continues giving it everything he’s got. Pieczonka just loves making games. Rafal Zaremba, the other half of the team, has tried his hand at indie development multiple times, only to return to his unsatisfying big company job time and time again. This time, Zaremba is putting everything on the line and devoting every fiber of his being towards Lichtspeer. The fame and fortune mean little to him, the man just wants to make games comfortably. 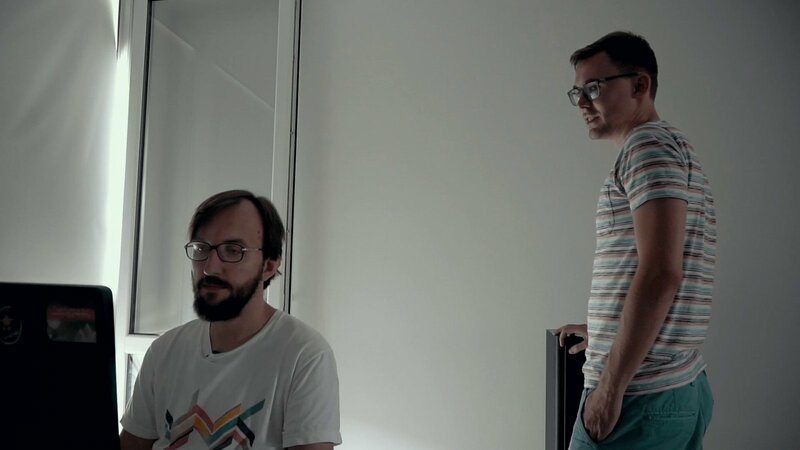 The documentary follows these two and their collaborators at Crunching Koalas as they deal with the turbulent tasks of indie game development. From their fears, stress, and morale, to marketing, bug fixes, and the infamous crunch time, Pieczonka and Zaremba are put through the wringer as the release date edges ever closer. The dynamic duo are genuinely relatable, with the film never shying away from capturing the two during moments of conflict, whether it be internally or externally. Pieczonka and his short monologues steeped in pessimism are accompanied by Zaremba’s visibly noticeable drive to make his dreams a reality and validate all his hard work. The story of Lichtspeer’s development has been described by viewers as the antithesis of 2012’s Indie Game: The Movie, which chronicled a handful of developers on the rise to indie super-stardom. A fantastic watch, but the underdog story is one that doesn’t accurately reflect the large majority of indie game development. Similarly, 2016’s Surviving Indie is accented by stories of overwhelming success, although that doesn’t take up the entirety of the film. Each film is unique in its own right, but none have captured what We Are Alright sets out to capture. The closest I’ve seen, is a humorous parody by indie developer Lars Korendijk. The film doesn’t try to steer viewers away from indie development, it’s an early lesson for those who are passionate enough to join Pieczonka and Zaremba in the indie scene. This is not a documentary about failure, it’s a reminder that nothing comes as easy as it seems. Like Lichthund, we should continue to strive for success and learn from every mistake.